“For whom the bell tolls” is not just the title of one of Ernest Hemingway’s books, which he borrowed from a line in one of John Donne’s meditations, but it is a practice at St. Luke’s on All Saints Sunday as the nearest Sunday to 01 November, which is All Saints Day. On that Sunday, the names of persons deceased in the previous year related to the congregation are read, and at each name a bell is sounded. This type of ceremony has crept into Protestant churches because All Saints Day is observed in many liturgical calendars, even though Protestants no longer observe All Saints Day in the Roman Church’s way. In the early church, it became common place to pray for the dead, to give alms to the church on behalf of the poor to assist the dead, and to say masses for the dead for their salvation. In other words, the church quickly became interested in helping God look favorably on Christians after death, despite God having raised Jesus from the dead once for all for all humanity. Sadly, this practice meant that early on the church had already deviated from the heart of the gospel of Jesus Christ. This practice, and so many others, like a cancer eventually took its toll on the life and vitality of the church to the point of near spiritual death. Both All Saints and All Souls days, however, have no biblical foundation. First, as the New Testament makes clear, all those who believe, i.e. those Christians who are baptized into the death and resurrection of Jesus Christ, are considered to be not only priests but are also declared by God to be “holy” or “saints.” The gospel of justification by grace alone through faith alone in Christ alone, apart from works of the law done either by ourselves or by others on our behalf, makes sainthood happen when this faith-creating gospel is purely proclaimed in word and sacrament. The word creates the faith by which we sinners are made saints. Second, because “neither death nor life, neither angels nor demons, neither the present nor the future, nor any powers, neither height nor depth, nor anything else in all creation, will be able to separate us from the love of God that is in Christ Jesus our Lord” (Romans 8:28-29), those who believe in Jesus Christ are already and remain forever part of Christ’s body by virtue of their baptism. This makes the notion of individual souls being shunted off to purgatory after death to face untold torments not only contrary to scripture but diabolically contrary to the life, death, and resurrection of Jesus Christ. Is this alright or not, or is it a slippery slope? John Donne’s meditation coining the phrase “for whom the bell tolls” means, according to some, that humanity is interconnected, like all members in the body of Christ. 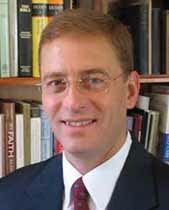 With that in mind, because the ELCA no longer rejects purgatory and thus no longer rejects the need for indulgences, the ELCA has apparently not only ecumenically removed itself from papal condemnation issued at the Council of Trent, but it has biblically and theologically removed itself from the Reformation’s understanding of salvation. The results are not just slippery but sinister. Such ecclesial capitulation on the part of so-called Lutherans is taking its toll not only on the integrity of the gospel but thereby on all the souls of all the saints populating vast swathes of world Christianity. So, should we ring the bell on All Saints Sunday to commemorate the dead within the church or should we do so to warn the living that the spiritual death of the church comes from within? For the Love of … ! Does the Devil Have a Theology? Copyright © 1996-2019 Pastor Mark's Blog. All rights reserved.